National Geographic Children's Books, 9780792276470, 112pp. 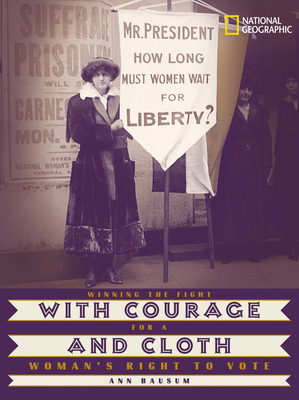 An award-winning author chronicles the story of the women's suffrage movement in America, using compelling period photographs--including some never before published--to illustrate the vivid narrative. Ann Bausum is the daughter of a history professor, and she grew up with a love of American history and a passion for research. She is an award-winning author who has published six titles with National Geographic Children’s Books, including the acclaimed Sibert Honor Book Freedom Riders. She lives in Beloit, WI. Visit Ann Bausum at her Web site: www.annbausum.com.